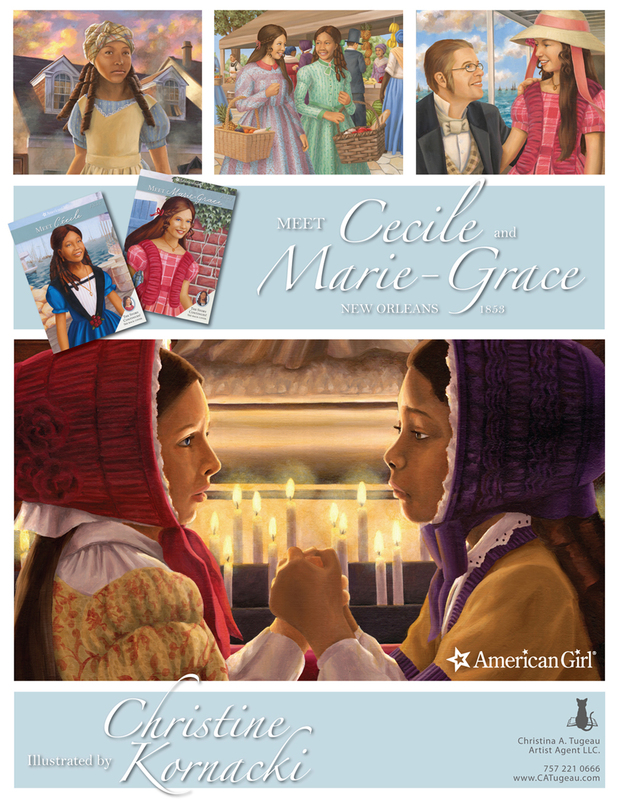 I am SO SO proud and happy to finally be able to announce that CHRISTINE KORNACKI has worked for two years plus on the visual developement of American Girl’s two latest DOLLS from New Orleans… CECILE and MARIE-GRACE !!!! The Dolls and the Books are finally officially launched now…so we can brag…and we encourage you to take a look! Christine is the first woman illustrator for any of the AG doll stories! a surprise isn’t it? and she’s done such a beautiful job with the characters and their stories. 1 Response to OUR AMERICAN GIRL ARTIST!!! Fabulous! They’re lovely! Way to go, Christine!